The Independent National Electoral Commission (INEC) has promised that it will conduct on schedule all strands of elections slated for the February 16 and March 2 in River State. The electoral body also said that elections would be contested only by political parties and candidates whose names were published by the commission on the January 17, 2019 and those whose names would be published on January 31, 2019. The clarification by INEC might not be unconnected with the allegation by the Peoples Democratic Party (PDP) that the electoral umpire contemplates accommodating the All Progressives Congress (APC) in the general elections in Rivers State. The main opposition party had said that such suggestion by INEC was distasteful and only points to a collusion with the APC in its plot to stalemate electoral processes in some strategic states to pave the way to postpone elections in such states and use compromised security forces to effect massive rigging, as was the case in the 2018 Ekiti and Osun States governorship elections. However, INEC National Commissioner and Chairman Voter Education and Publicity, Mr. Festus Okoye, told THISDAY yesterday that INEC would not postpone and has no intention whatsoever of postponing any of the strands of elections as the condition or conditions for the postponement of any election does not exist in Rivers State. 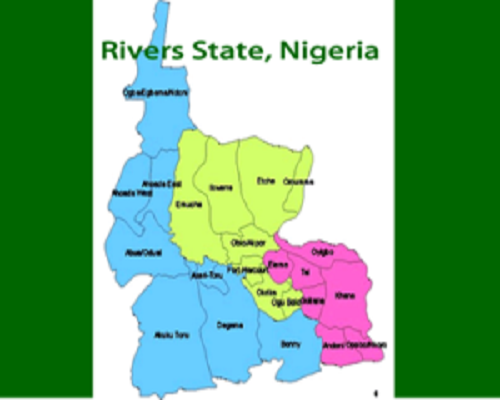 According to him, “The commission reiterates the fact that only the political parties and candidates whose names appeared on the List released by the commission on the 17th day of January 2019 will contest the February 16, 2019 elections in Rivers State and it is only the parties on that list that will be on the ballot on election day and returns for the election will also be made on the basis of such parties and candidates. Okoye noted that the commission has consistently maintained that it is a constitutional body and would obey and comply with orders and judgments from properly constituted courts of law. Okoye stressed that in so doing, the commission is complying fully with the two judgments of the Federal High Court, Port Harcourt Judicial Division, delivered on the January 7, 2019 by Justice J.K. Omotosho in suits No: FHC/PH/CS/144/2018 and FHC/PH/CS/149/2018. In the suit, he said the court ordered that the APC is not entitled to participate in the 2019 general elections for all elective positions for Rivers State constituencies namely; the office of Governor of Rivers State, member of House of Assembly of Rivers State, member of the National Assembly in respect of any constituency in River State. Okoye stressed that INEC has complied with the order of the court and the APC as a political party did not feature in any of the lists of the aforementioned positions released by the commission. He added, “Similarly, the party will not feature in the ballot papers and other documents and materials released or to be used for the conduct of the listed strands of elections. “In the two judgments of the 7th day of January 2019 by the Hon. Justice J.K. Omotosho, the Federal High Court did not order the commission to postpone any election on account of the orders given and the INEC has no intention of postponing the 2019 general elections in Rivers State or in any other part of Nigeria.